Lisa Freeman--Rescued from a Life of Abuse Now She Rescues Others! Need a Bullying Expert or Domestic Violence Advocate? Lisa Freeman, of Owosso, Michigan, is an Author, Motivational Speaker, Bullying Expert and a lifetime Abuse Survivor and Advocate. Her book for teens Run for Your Life, based on her true story of being an abused teen runaway and making all the wrong choices, will bring healing and hope to problem children, teens and young adults, and get them running in the right direction. Domestic Violence and bullying are taking innocent lives daily and need to be stopped. Sharing her story of courage and survival in live TV Interviews and on radio programs, as well as in school assemblies, church seminars, and at community conferences, her inspiring message sets others free from abusive lifestyles, and offers healing for all--even for bullies. -1st Place Winner of The Medallion from the Dog Writer’s Association of America for her true story “Healing Hearts” (2013). -Founded two non-profit organization A Time to Heal and Abuse Bites to offer help and healing for needy and abused/bullied people and pets. Her work of advocacy, therapy and rescue stemmed from a relationship with an abused, runaway dog, she didn’t want. In the past thirteen years this relationship has healed her, her family, and many others. Lisa is now an AKC Evaluator, Dog Trainer, Service Dog Trainer and an Award Winning Certified Pet Therapist through the Love on a Leash program. She coordinates weekly group therapy visits at nursing homes and adult foster care facilities. Currently, she works with the Angel Rehabilitation Kennel, a non-profit organization, helping to train service dogs for veterans. 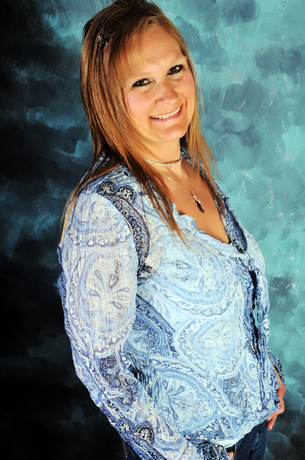 Lisa loves the Lord and holds a degree in Christian Ministry from Vision International. As a lifelong abuse survivor, as well as an expert in the field of abuse, bullying and rescue, she’s been featured on numerous local TV news stations, TCT Alive, on the radio, in magazines, and in newspapers abroad. She’s deeply involved in her community, offering yearly fundraising and charity events, of which she has raised over $20,000 for needy and abused people and pets. Currently, she resides in Michigan with her loving, supportive husband, John, two grown sons, Robert and Jeremiah, and four dogs (two of which are rescues).